Lock in a great price for Chalet Saudade – rated 9.5 by recent guests! The staff were extremely friendly and helpful. A very relaxed environment, and the rooms and facility were charming, well kept, with modern amenities. An excellent value that could easily have been priced much higher. Great location a 10 minute walk from the historic center and ultra convenient to the rail station. Room was exquisite. Location was near the train station and tour buses but the room was very quiet. Helpful staff. Good dinner recommendations. This was one of the nicest guesthouses we have ever visited. 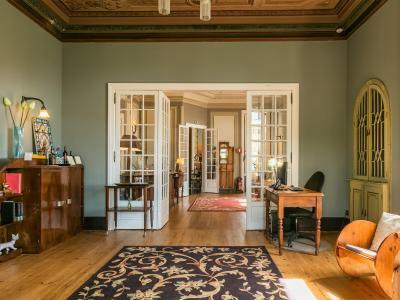 It's in a beautiful building, the staff was friendly and helpful, the room was lovely. Complimentary glass of port. Delightful rooms, wonderful shower and bed and linens. The breakfast included in the room price at a nearby cafe was excellent. Aa we had an early checkout, we were unable To go to the cafe beforehand and the staff arranged a boxed breakfast of pastries and juice. Delicious, hearty breakfast. 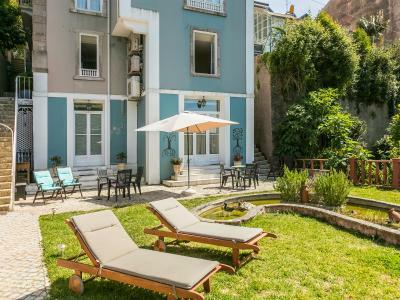 Kind, helpful staff, beautiful heritage house, great location minutes from train stn, about 10 min (and very nice walk) to old town centre and national palace. Complimentary port in lovely common area with great view. Highly recommend!! It was a 2 minute walk from the hotel and a popular place. The continental breakfast was generous and tasty. We will be back! Excelete stay as well as Breakfast and location! We will be back again one day! It was wonderful!! The full crib and baby tub provided since we had a little one was so helpful! having two rooms (bedroom and full living room where the crib could be) made the experience so much more relaxing. Staff was lovely and very helpful, it was an easy walk wherever we needed to go, and the setting was great. We'd stay again, absolutely. The staff is very helpful. Excellent location, beautiful estate. Found the hotel charming, especially the ground floor sitting area and the comfort of reading there with a glass of port. The breakfast at the cafe was also pleasant. The hotel's facilities and comfort were better than one sometimes finds in older buildings. And the staff was very helpful. 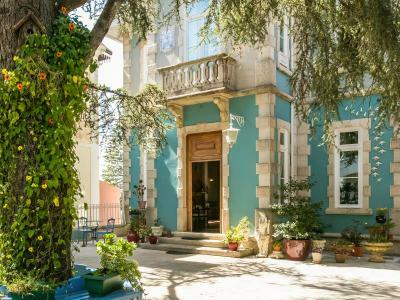 One of our top picks in Sintra.Located in the center of Sintra but away from the touristic venues, Chalet Saudade dates back to 19th century and offers scenic views of the surroundings. Free WiFi is available. 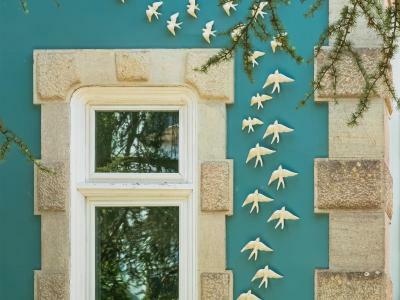 Chalet Saudade underwent a 5-year complete renovation and offers modern and comfortable accommodations, elegant living rooms with trompe l’œil frescoes and romantic gardens with antique water fountains and ponds. Rooms include tea making facilities. Breakfast is served at Café Saudade, a coffee house located 150 feet away. Breakfast hours are from 08:30 to 20:00. Some rooms include a kitchenette. 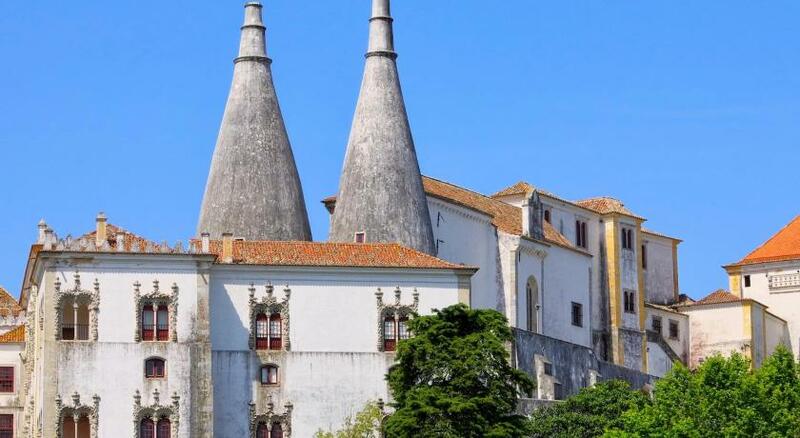 With the Sintra Train Station and Bus Station 350 feet away, Chalet Saudade offers a privileged location for guests to explore the mystic places of Sintra. 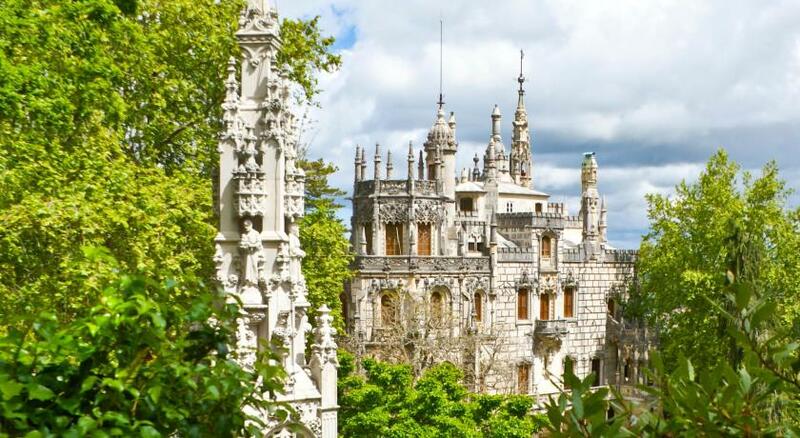 Pena National Palace is 3.1 mi away and the Moors Castle is a 20-minute walk. Lisbon International Airport is 17 mi away. Parking is available nearby, both free and at an extra fee, reservation is not possible. 뀐 Located in the top-rated area in Sintra, this property has an excellent location score of 9.6! When would you like to stay at Chalet Saudade? This air-conditioned triple room features 3 single beds which can be put together and make 1 double bed plus 1 single bed. 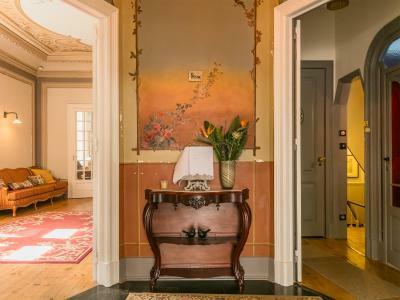 It includes vintage hardwood floors and Portuguese textiles and toiletries. These large rooms come with double or twin beds, air conditioning and views of the garden. Some have small lounge areas with sofa and table. They feature vintage hardwood floors or tiles, Portuguese textiles and toiletries. This economic, soundproofed double room is adequate for single or double occupancy and is located on the -2 floor and has no view. It features air conditioning and Portuguese textiles and toiletries. Please note that due to the air conditioning system installed on the outside of the house, sometimes noise can be heard in this room. 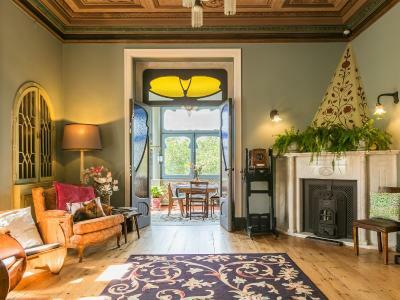 This soundproofed double room has vintage hardwood floors or tiles, air conditioning, Portuguese textiles and toiletries. The bathroom has a shower cabin with hydro massage. This spacious air-conditioned suite is facing west and features a view over the garden. The living room includes a sofa bed and a table. Portuguese textiles and toiletries are provided. It features a unique décor and is located on floor -3. House Rules Chalet Saudade takes special requests – add in the next step! Chalet Saudade accepts these cards and reserves the right to temporarily hold an amount prior to arrival. Chalet Saudade reserves the right to pre-authorize your credit card as a guarantee. Please note that the total amount must be paid upon arrival in Debit or Credit Cards, Cash. Extra bed and children's cots must be requested upon booking and are subject to availability. Special Group Policies: When booking more than 2 rooms, different policies and additional supplements may apply. If you expect to arrive outside check-in hours, please inform the property 72 hours in advance. Late check-in after 22:00 has an extra cost of EUR 25.
the staf was friendly and helpful and had so many tips the breakfast was outstanding and they went the extra mile to cater for vegan and vegetarian excellent location and spotless! The location was great. Close to the train station and only a 10 minute walk from City Center past some great artwork. Great views from our window, large room with comfortable bed. All the staff is very friendly and helpful. Breakfast is not available until 9:30am...not useful if one is leaving early in the morning. The only disappointment on an otherwise wonderful experience was that there were no coffee making facilities in the bedroom. I do think that a room of this level of comfort should have the coffee facilities within the suite. The standard of decoration was superb. We had a suite and with a balcony and it exceeded our expectations. It was a short walk from the station and an easy stroll to the main attractions and restaurants. Although we liked the food and the atmosphere of the Cafe connected to the Chalet, going there for breakfast was a little awkward in the morning as it was up the street and cost an extra 9 euros apiece. The room we had was also very small, beautiful, but small. The staff were warm, authentic, helpful, and interesting. The building and grounds were beautiful, well kept, and unique. The location was perfect for walks around Sintra. Nice building with elegant decoration. We were unlucky with the weather, which was rainy. Satellite reception was not very good in our room. 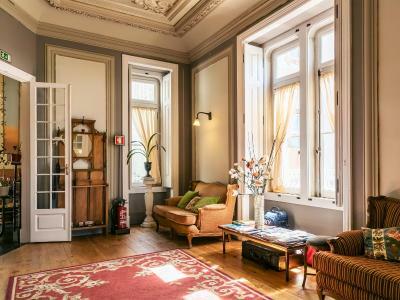 Chalet Saudade is a beautiful historical building, full of lovely decoration details. 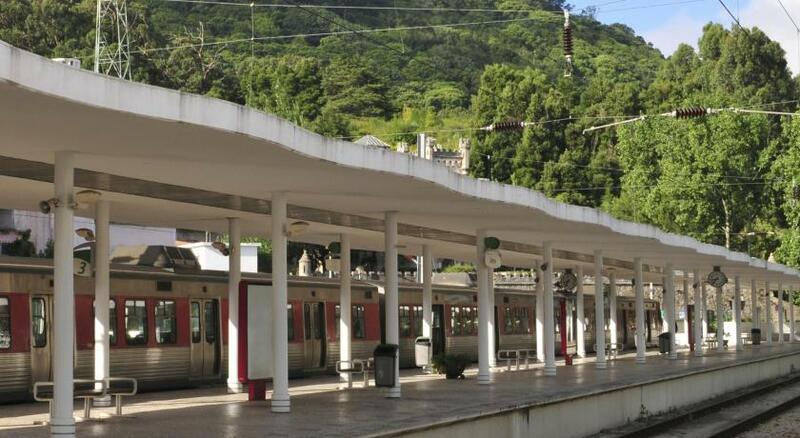 It is located near the centre of Sintra and of public transportation. The people at the reception are very nice and friendly, and provided us several recommendations upon our arrival to make the most of our stay. The room we stayed at was great and had direct access to the beautiful building garden, as well as mountain view. Breakfast is taken at Café Saudade, located nearby, a wonderful vintage coffee shop, serving great food. We greatly enjoyed our stay and would certainly return. Highly recommend! The staff were super helpful and welcoming! I had a chat with the night shift guy (sorry I don’t know his name) and he told me a funny story about the Quinta da Regaleira haha!! The guesthouse is absolutely lovely. The interior decoration was very elegant- the winter garden! The breakfast was so nice! The complimentary red wine was also very cute. I will definitely book again. A big thank you to all the staff! No bottled water in the rooms.